If you operate a business, then you know how important it is to have the ability to reach consumers at all times and in all places. That means reaching customers on their mobile phones. According to recent data, the average American spends more than two hours on their mobile phone a day – many people spend much more time than that. Approximately 95 % of Americans own a smartphone today, which means businesses have a powerful means of getting their message through to the consumer. Whatever type of business you operate, adding mobile-friendly apps to your marketing strategy is a win. Software such as Microsoft Azure and Xamarin will give you the edge in mobile app development. Using Azure, you can build your own company mobile app that can be stored in the cloud or on-location. The mobile apps are versatile, working with any type of smart phone. Use mobile apps to send push notifications. Authenticate customer users with several different hosts such as Google, Facebook, and email. Allow employees secure sign in through a private active directory. Apps work even when customers or employees are working offline. Syncing continues to occur making sure everything is seamless. Contains the cloud storage size you need. It doesn't matter what type of data you have, your material is safe. Works across various platforms and with other software to deliver powerful solutions for your business. For example, Azure can integrate with Xamrin and Visual Studio to create mobile apps. Scalable capabilities allow you to send push notifications to millions of people at once. You may be wondering just how important is a mobile app for your business. Is it something for just the big companies or is it something you should explore. 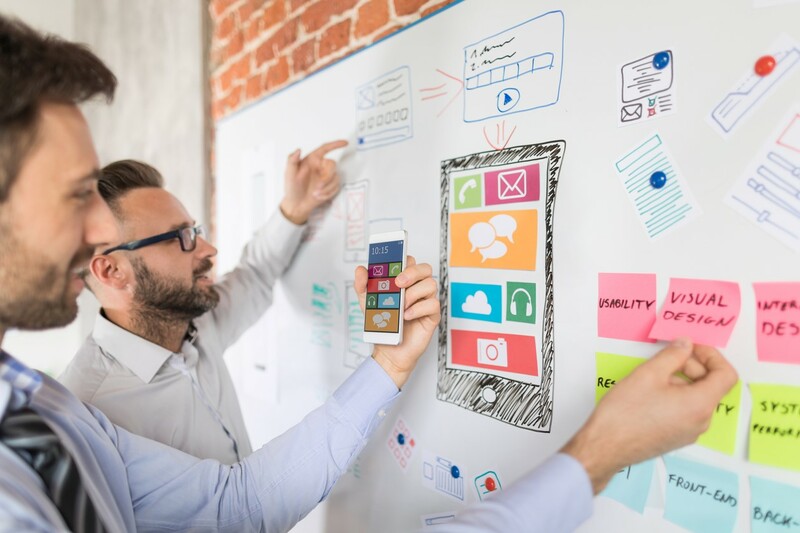 Here are a few of the ways having the ability to create native mobile apps will help your business with its customers and employees. Having your own business app is like being in the back pocket of your customer. Actually, you will likely be in the palm of your customer's hand most of the day. You have the ability to send push notifications whenever you want, which means you have a direct line to your customer's attention. You can be at the top of your customer's mind when needed. However, you don't want to overdo it with the push notifications and send too many, because people may not like that. What this indicates is that you will have an increase in your connections with customers. By using the Visual Studio and Xamrin, which syncs with Azure, you can design your own brand logo on your custom app. By seeing your logo every time customers log in, you are increasing their exposure to it. In addition, when they see your logo as they scroll through their mobile phone and when they access the app will reinforce brand recognition. Several studies imply that consumers will be quicker to make a purchase if there is brand awareness. You get an increase in sales when people are continually exposed to your brand logo. Although the using the Azure software to build your own app will give you the capability to send push notifications to millions of people at once, you may not always want to do that. Sometimes your message may need to be targeted to a specific group. Microsoft Azure allows you to build an app that can produce customer segmented lists. That means you'll be able to send your notifications to separate groups based on what product or service they would likely use. Targeted marketing offers a more strategic approach than sending out messages to everyone. Of course, there will be those times when you want everyone to get a message but for the times you want to zero in on a specific demographic, Azure helps you accomplish it. One of the strengths of a marketing campaign is the ability to provide rewards and promotions. With a mobile app, the entire process is much simpler. With the Azure program, you can build an app that will track reward points. This entices customers to purchase more to rack up the points, encourages them to interact more with the app, and allows you to offer in-app promotions along with the rewards. You can also send out special offers and coupons too. Powerful new features available with Azure and Xamrin called Microsoft Cognitive Services allows businesses to create apps that are "more intelligent, engaging, and discoverable." It utilizes some facial recognition intelligence to collect data about how customers are rating your app. This feature "expands on Microsoft's evolving portfolio of machine learning APIs and enables developers to easily add intelligent features – such as emotion and video detection; facial, speech and vision recognition; and speech and language understanding – into their applications." (Source: Cognitive Services, Microsoft). These features are certainly the way of the future as more smart products become commonplace. Not only does using mobile apps connect you more readily with your customers, it also enhances workplace productivity. The seamless way Microsoft Azure and Xamrin integrate across platforms means you have solutions to help your employees be more efficient. You can speed up the process of your workflow by designing a company app that integrates with other platforms. Azure links to other software solutions such as Salesforce, thus saving you multiple steps. The integration of multiple apps into one program will allow your employees to streamline their work. As a business owner, you have the opportunity to utilize technology to propel your business forward. Creating mobile apps for your company using Azure and Xamrin is a way to stay in closer touch with your customers and remain competitive in the marketplace.